Earlier in January, Redmi forked out of Xiaomi to become a separate brand. Since then, the company launched the Redmi Note 7 and Redmi Note 7 Pro, both of which are doing well, in China as well as in India. In fact, Xiaomi recently revealed that it one million Redmi Note 7-series smartphones in India. Now, the company is gearing up to launch its flagship smartphone, something that General Manager Lu Weibing has been teasing for a while. Now, more details have surfaced about the smartphone. There is no word on what the smartphone will be called, but it will be powered by a flagship Snapdragon 855 SoC. In fact, it is expected to be the cheapest smartphone powered by the Snapdragon chipset. Outside China, the smartphone may debut as Poco F2. Last month, Xiaomi CEO Lei Jun was spotted with the alleged Redmi smartphone. 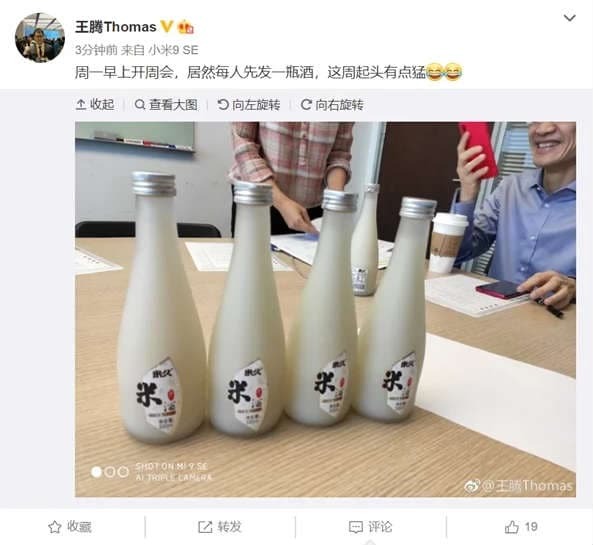 And now, the company’s product director Wang Teng Thomas posted a photo showing the same smartphone with the company president and co-founder, Lin Bin. What’s interesting is that the phone shows off a pop-up selfie snapper on the top left, whereas the 3.5mm audio jack on the right. This also means it will be the company’s first notchless smartphone. The photo was later deleted, GizmoChina reports. As of now there is no word on when the smartphone will be launched, but rumors point at an unveiling sometime next month. Redmi also has other smartphones in the pipeline that are expected to soon go official. The Redmi S3 with 32-megapixel selfie snapper could soon launched next month. In India, it is expected to be re-branded as Redmi Y3, and Xiaomi has just announced that it will go official on April 24. Xiaomi is also expected to debut the affordable Redmi 7A and Redmi 7 Pro smartphones a little later.